Added to list. I'll probably do a testing post tomorrow as I have more time then. Gonna confirm the second teams now. Drivers are now registered. First days of testing complete and the first laps on the board for 2017, although some teams didn't launch their cars in time to get out on circuit. Consistent times from us these two days, reliability seems decent and pace is not lacking, although testing is never representative of speed. Not a bad start for us, completed a fair few laps and we are developing the car nicely. We would like to apologise for the delay in revealing our car, some technical difficulties and unfortunate events occurred. However! We're now ready to go and will be trying to rack up the miles in the remaining days of testing to ensure our fantastic lineup (one we consider the best on the grid) is ready to hit the ground running come Australia. It's not actually hideous at all, in fact, i quite like it. Enter, the SA0R1. We call her Saori for short. See you next week for more testing. Last edited by Spilskinanka on Mon Mar 06, 2017 10:43 am, edited 1 time in total. Alright, I can't resist. We'll compete with Midori on two fronts. Congratulations to Super Aoi for posting the fastest time of the week, we're already 3 seconds faster than last year's pole time. Here are the fastest times posted by each team. Felipe Massa and Lance Stroll will have a drive this season after the SSA team decided to launch an as-yet-unnamed second team. The car is due to be launched soon, so stay tuned. I think my Fuji team could be in for a tricky season. Welcome to Race 1 of the all-new 2017 Fantasy F1 Season. 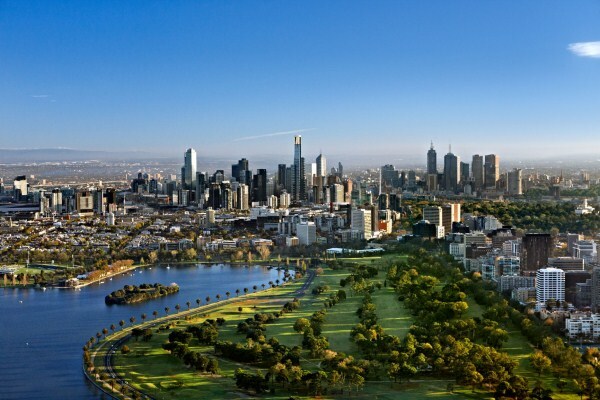 As usual, we're down under in Melbourne, with a stunning backdrop to the race held in Albert Park. The Midori team have already posted some ridiculous times in the practice sessions. Is this a sign of things to come? The SSA B-team have still not shown up, but I'm told their car is being prepared as we speak. It should make an appearance this afternoon, along with the team preview for 2017. Good luck to all the teams. Practice has been good for us here at DFR, Bottas is looking nice and competitive, though our sister team Fuji Honda seem to be struggling a little bit. As is tradition, a look at all the teams competing this year. A simple, but neat looking car for DFR this season, and a new driver to pilot it. They found a strong replacement for Rosberg in Valterri Bottas, but the Finn might nevertheless prove to be a slight step down from the German. Regardless, Bottas' performances should be enough to power DFR to a strong position in the standings, especially as second driver Ericsson is unlikely to score them many points. Somehow entering their fifth season, the SSA team are turning into a stalwart of the Fantasy F1 field. Their second year of their partnership with Gulf sees them enter another beautiful car, but will it be enough to take them beyond third place in the standings? A lot of hopes ride on Max Verstappen, the fast young driver who SSA have reclaimed from Midori. But will he be as good as outgoing driver Kimi Raikkonen? And will Kevin Magnussen score as many points as the consistent Hulkenburg did in the number two car? It's hard to see much improvement over last year for the only Aston-Martin powered team on the grid. Second season for Japanese outfit Midori sees them claim an absolute world class driver in Lewis Hamilton. Such signings mean their second car is essentially a write-off, but with Hamilton in the team they have to be favourites for the championship. Let's see if rivals SSA can keep up, or will Verstappen be outfought by his old team? Seemingly ever present with their Duracell paint scheme and minimalist press releases, the Toyboata team are one to watch this season with a potential championship winner in Vettel. Don't ignore the team in yellow, although you should probably ignore Palmer; he's unlikely to do much for them. Another long-term entrant sees GuitarHero return with a seemingly cheese inspired car. Ricciardo isn't one to back away from a championship fight though, so watch out for him this season. Ocon may pick up a few useful points for the team, and having a points-scoring second driver is a strong asset to have. The dark horses? A wholly underwhelming second season last year sees the SAF squad return with a much improved driver lineup. It's not one to write home about but I expect decent and consistent points from the team. Let's hope that it can push them higher than the foot of the table. The engine powering D.J's second squad has been exposed as unreliable and very, very slow in testing so it's difficult to see much more than a handful of points being gained by this team. The undisputed quality of Alonso may drag them over the line a few times, but it looks like it will be a long season for the Fuji guys. In a strange twist, the Midori owners end up taking SSA's old driver in some strange, semi-swap deal. Anyway, the Super Blue team looks like it will compete near the top of the table; Raikkonen is a proven points scorer and Grosjean is handy as well. Watch out for these guys, they will undoubtedly be mixing it up at the top. And finally, we come to the new team on the grid, and a very late arrival. Felipe Massa returns from "retirement" to teach rookie Lance Stroll a few tricks at the former SSA-Juniors team. Hard to see much more than a midgrid team in Logitech-Mugen, especially given their lack of preparation, but the Mugen guys have sorted out their initial problems and now deliver a very solid powertrain. It looks like it will be some season based on this quali session. A hard fought battle between four teams saw a very close result, while other drivers produced some paltry performances. Antonio Giovinazzi deputised for Pascal Wehrlein at Midori, after the latter decided to sit out the rest of the weekend. Clearly Stroll has a lot to learn from Massa. I've got just under 5% of last seasons total after one qualy session, surely that means I'm in for a better season than 2016 already. Good start though really. I told you, you're better off ignoring him.